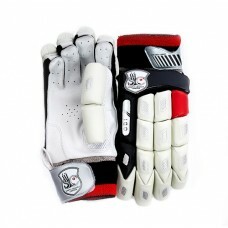 Enigma Batting Gloves Some of the most dominant and talented cricketers of all time, have been described as an Enigma, They provide the inspiration for our Enigma Range. Our Enigma ra..
Our high class traditional Sausage glove offers comfort and protection that is second to none. The soft nature of premium sheep skin and Pittard Palm gives this glove a great feel, whilst the light..
Our superb modern ODI glove offers comfort and protection of the highest quality. 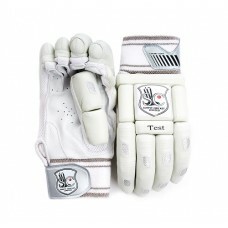 Premium sheep skin and Pittard Palm gives this glove a great soft feel, whilst the lightweight impact foam provides.. The Silver Cobra batting gloves are of professional standard, providing high quality protection whilst being very lightweight. 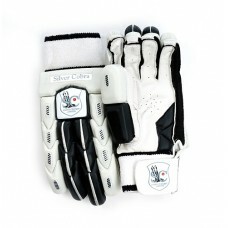 Made using premium sheepskin they allow for a..
Our superb modern ODI glove offers great comfort and protection. 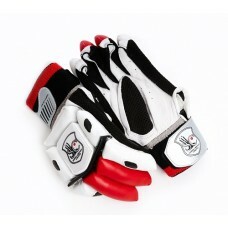 High Quality Calf Skin makes this glove extremley durable, whilst the lightweight foam provides superb protection. With the str..